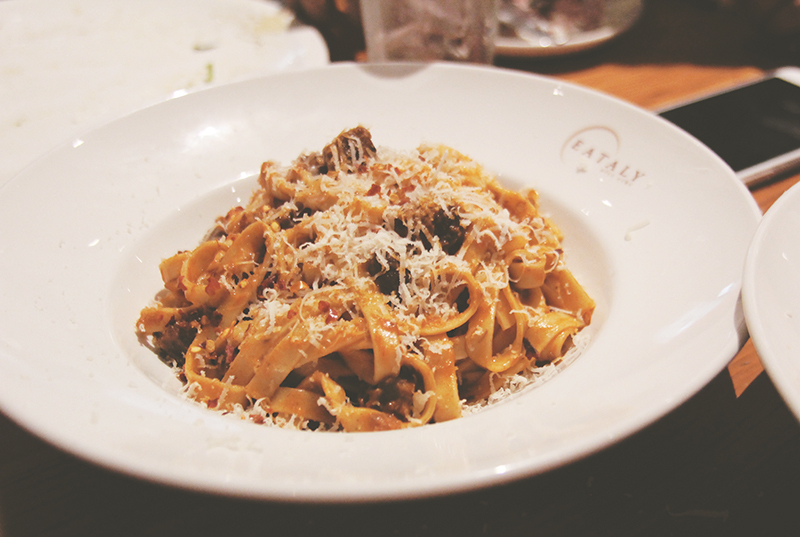 For lunch, we visited Eataly, a market/dining place, that my mom’s friend strongly recommended we try while we were in the city. 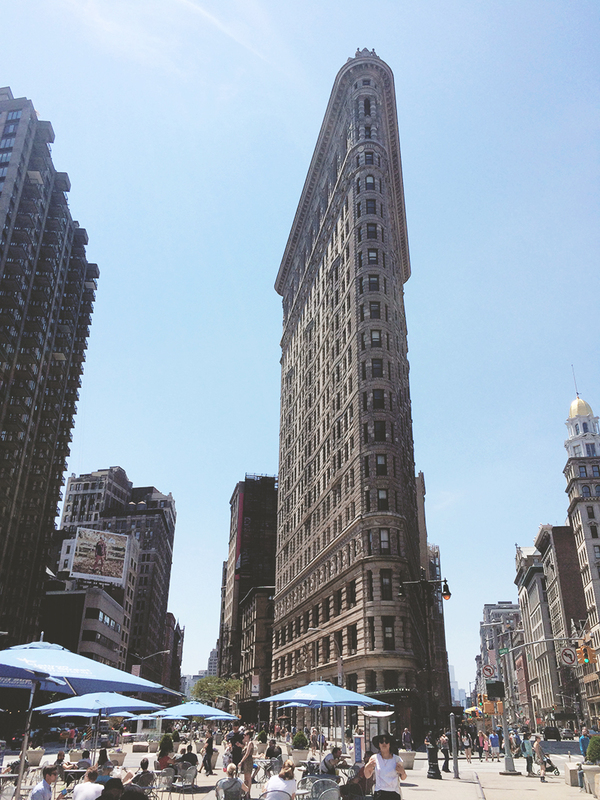 Coincidentally, it was at Fifth Avenue, located near the Flatiron Building, one of the sights on my NYC must-see list. 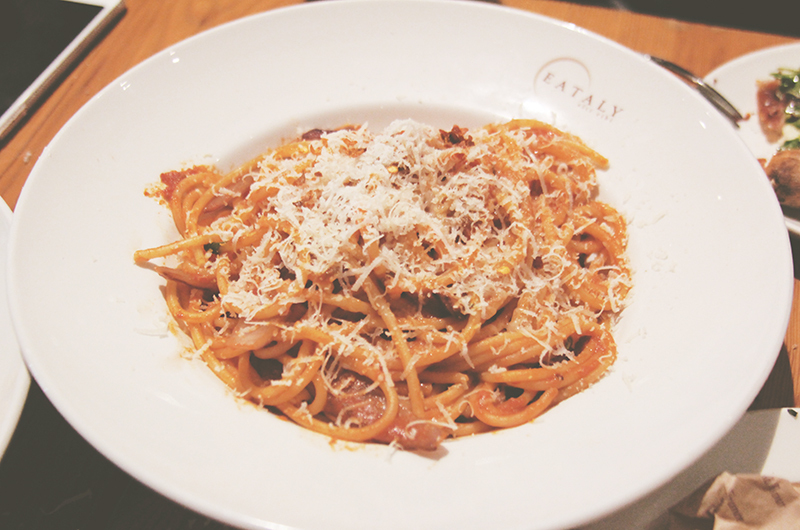 Eataly made me seriously crave for an Italian adventure, despite being in New York at the time. Now that I’ve crossed off NYC, as well as Korea, on my Top 5 Destinations, I’m itching to visit Italy. Hopefully soon! 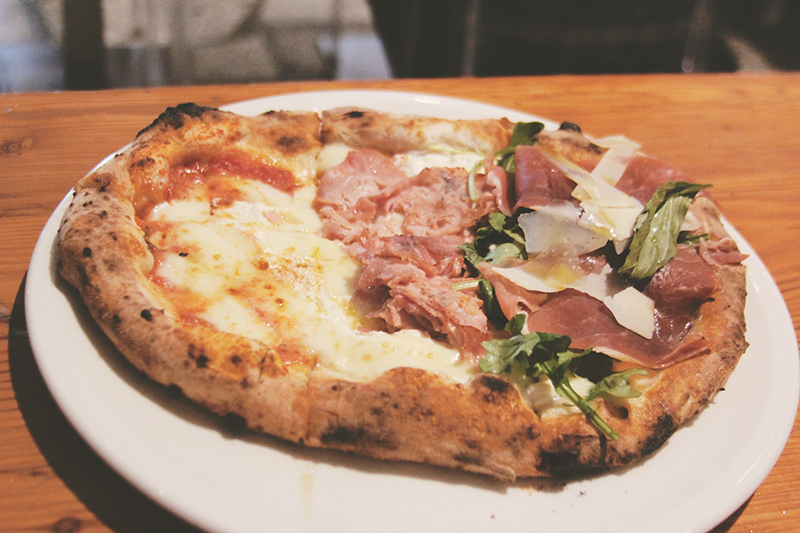 We ordered pizza (Fru Fru) and pasta (Tagliatelle and Bucatini, I believe) for the family and we all enjoyed the meal. 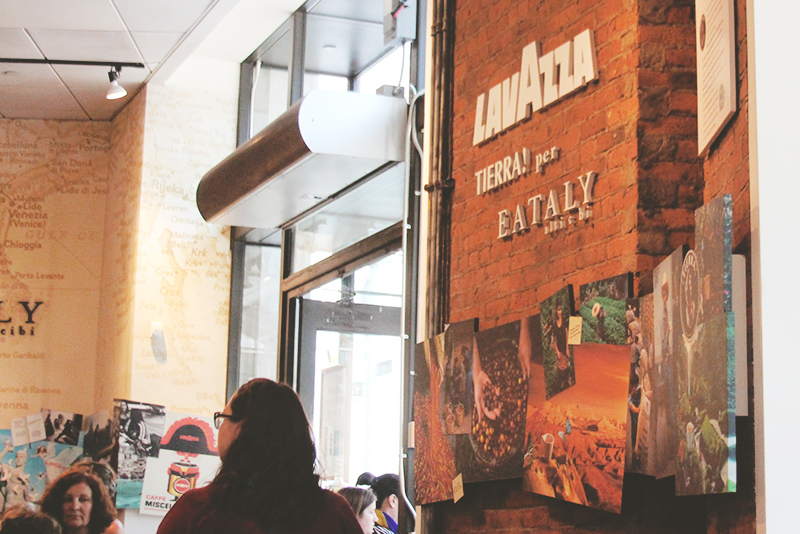 My parents had a very rich hot chocolate drink from Lavazza (also part of Eataly) after. My sister and I tried their gelato instead, ordering three flavours and splitting the big cup. It was great- honestly, I don’t think gelato could ever taste bad. I’d be happy to visit the place again if we ever come back to the city just so I could try their Nutella Bar!